Do you worry about falling in the shower? 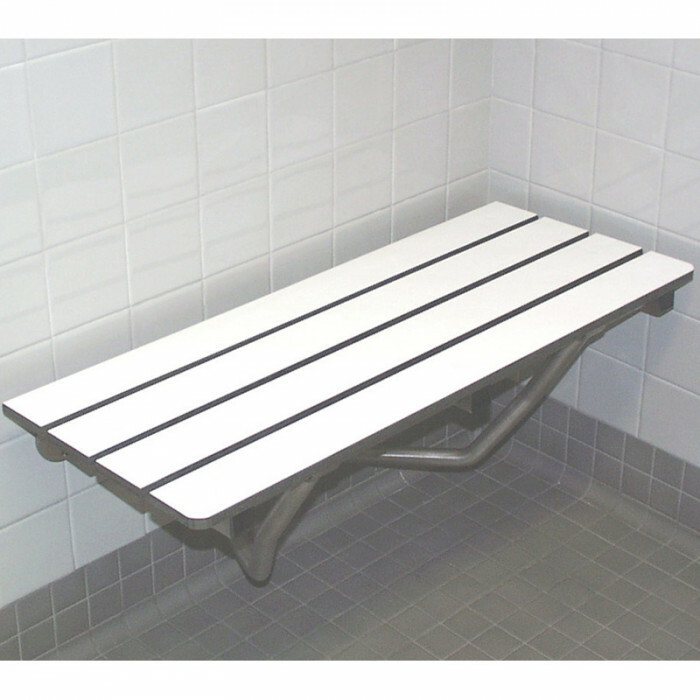 The Freedom 30" x 15" wall mounted shower bench provides a secure, comfortable shower chair for elderly bathers, without sacrificing space or style. Ideal for aging adults, or anyone who prefers the option to sit in the shower, these fold up shower benches provide significant independence and safety for seniors and individuals with physical disabilities. 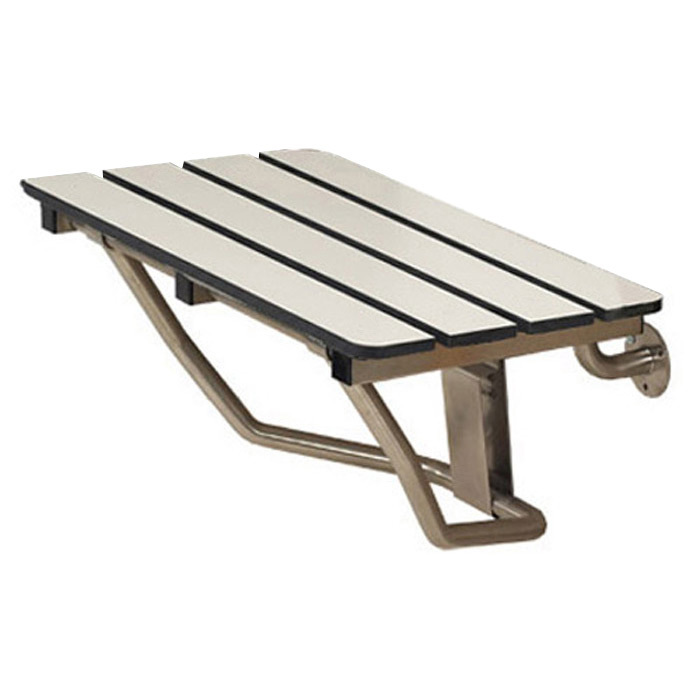 For the premier bathing experience, these fold up shower benches can support up to 250 lbs. when properly installed into the wood backed walls. Made in America with high-quality stainless steel, the seat frame is made with a U shaped support bracket that allows the shower bench to fold up and out of the way when not in use. Introducing Lift-Assist Technology on Freedom shower seats. The user-friendly, patented spring support mechanism has been developed to ensure that Freedom shower seats require less than five pounds of force to lift, regardless of seat size or seat top material. The Lift-Assist mechanism has been integrated into the frame design larger Freedom Shower seats and independently tested to ensure ADA compliance. 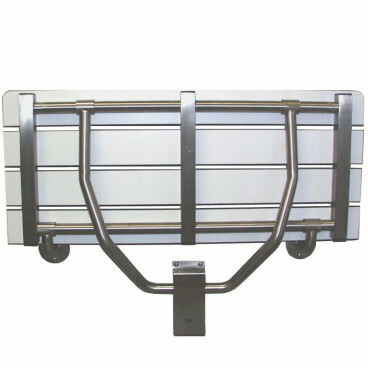 Our Freedom wall mounted shower seats are available in a variety of sizes and styles. 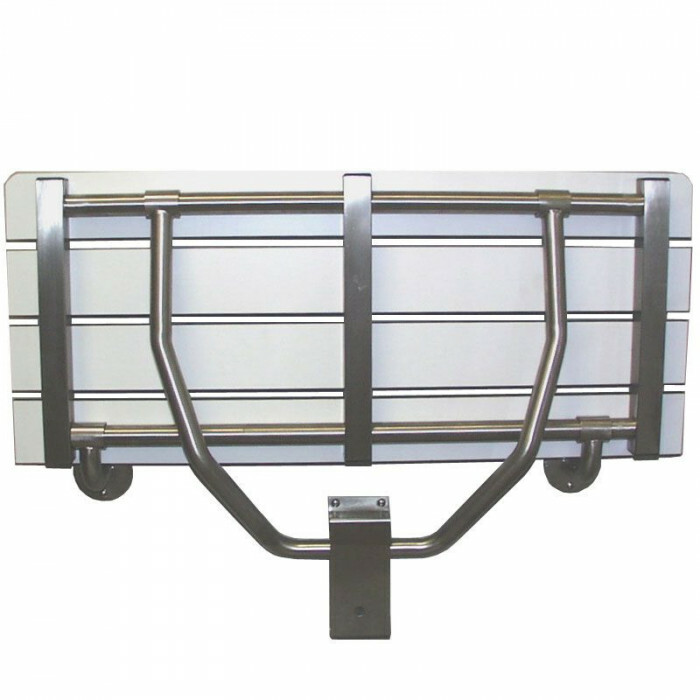 Combine with stylish grab bars to complete your accessible bathroom. Call 1-877-947-7769 to speak with a Customer Service Representative about shower seats.